JNN 15 Jan 2015 Paris : More than 50 anti-Muslim incidents have happened across France – including shootings – in less than a week since the deadly attack on satirical weekly Charlie Hebdo, according to the nation’s Muslim community, which is calling for heightened security. 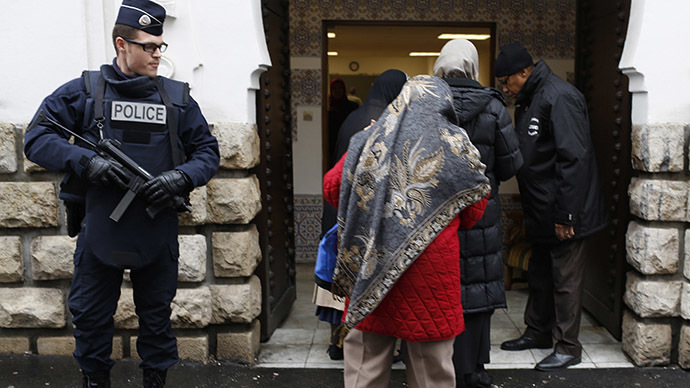 Among the 54 anti-Muslim incidents, there have been 21 reports of shootings and grenade throwing at Islamic buildings, as well as 33 cases of threats and insults, said Abdallah Zekri, president of the Collective Against Islamophobia in France (CCIF). CCIF is a monitoring body within the Central Council of Muslims. The figures were provided by the Interior Ministry, Zekri said, and do not include Paris, its suburbs, or the Poitiers mosque fire on Sunday. Zekri said he has “never seen” so many attacks in such a short time, and has called for heightened security at Muslim places of worship, as well as increased monitoring of social media. French Prime Minister Manuel Valls told local BFM TV on Monday that there is a need to protect not only “synagogues, Jewish schools, but also mosques,” as there have been a number of attacks against Muslims. Earlier on Monday, Interior Minister Bernard Cazeneuve sent almost 4,700 extra police officers to protect Jewish sites and threatened religious communities. The Collective Against Islamophobia in France has also launched a campaign on its website to help protect worshippers, calling on the government to raise security awareness. Seventeen people were killed in Paris last week. Twelve of those died in the shooting at the office of satirical newspaper Charlie Hebdo by gunmen claiming they were jihadists. Five others died in the aftermath, as gunmen took people hostage. Three terrorists were killed in police operations. However, authorities believe as many as six terror cell members may still be at large. “The work on these attacks, on these terrorist and barbaric acts continues…because we consider that there are most probably some possible accomplices,” Prime Minister Manuel Valls told BFM television. 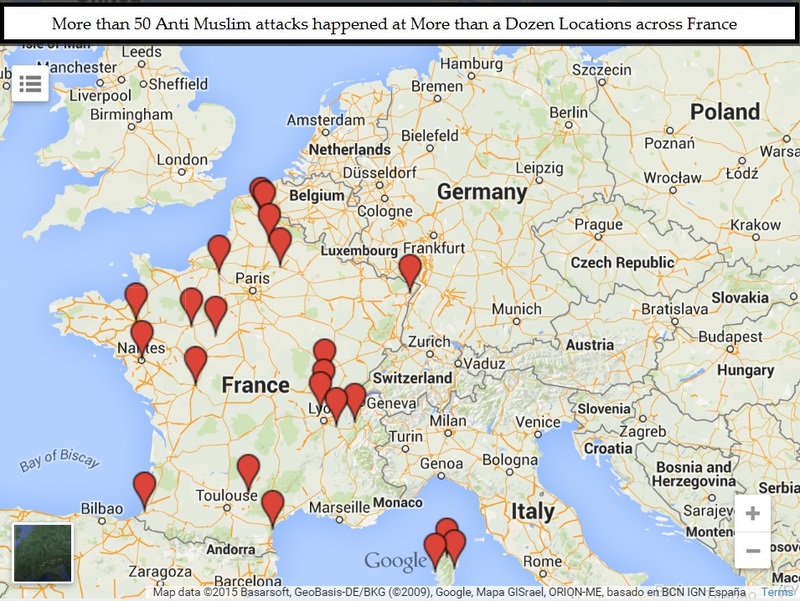 This entry was posted in Europe and tagged Anti Muslim attacks, France, Islamophobia, Paris. Bookmark the permalink.